. . . Now here is the information you asked about. was killed and her husband. Days and months were going by; it was very difficult to exist. Bad news came in from all sides - a lot of villages were burned to the ground. In the towns of Nezin, Chernigov, Konotop and others all of the Jewish population were killed. The first to die was the humpbacked loader Chauskij. A policeman was walking him in a horse collar. He was sent to work, walked in a house and got shot. Jews were told to put on white armbands. Everybody was sent to work. We were cleaning barracks, dirt, and snow on the streets. The first occurrence of a massacre of Jews was in January, 1942. A bigshot from Kiev or Nezin came on January 18th. 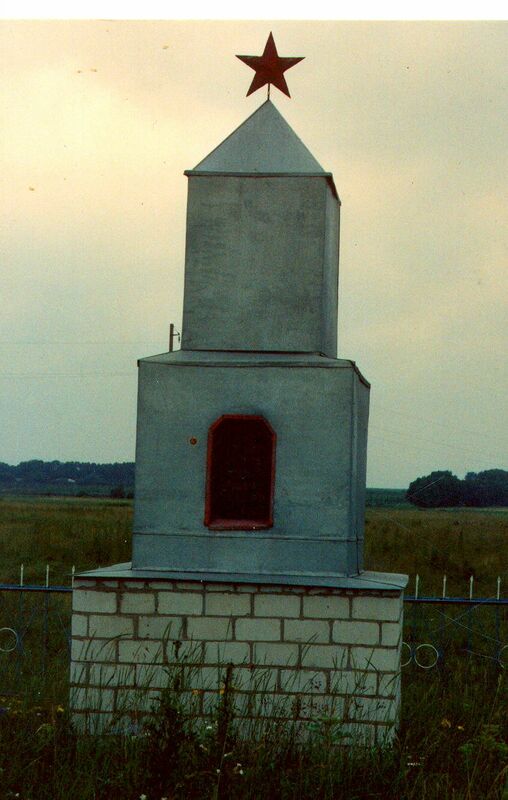 In the middle of the night all of the Jews were woken up by soldiers and police and sent to the village of Shapovalovka which is 10 km from Borzna. One-hundred and four Jews were shot there on the edge of an anti-tank ditch. Among them were old people, women, and children. Old man Urkin before the massacre was asked: "Do you want to live, old man?" He answered: "I'd like to know how all this will end.” Misha said before dying that ‘the enemies will pay for this with their blood.’ Twenty-two year old Nina Krenhous died with her one year old daughter in her arms. A school teacher, Raisa Belaja, (daughter of bookbinder Baruch Belij) saw the massacre of her 16 year old son Misha and her sister Manja along with her children. The youngest was few months old. She was already in a confused state and did not understand anything except that all she worried about were her lostglasses. Now to Borzna came back all except the Miazorov's, Turowski's, and Strilazki's. In the summer of 1942 the army was going through day and night in the direction of the Volga river. And along with them thousands of Jewish men for work, but really they were walking to a slow death. Moisej Levin’s son, Abba committed suicide in 1941. His family is now living here. She cried as she described what happened to the Jews in Borzna. In 1942 there were over 200 Jews in Borzna. They were hiding underground. A Ukrainian told the Nazis their location. They were rounded up, taken to a field, and shot. She was out of town at that time - her sister (who now lives in Brooklyn with her daughter! ), escaped just before they came, naked, out into the winter cold. Later I visited the field where the shooting took place. 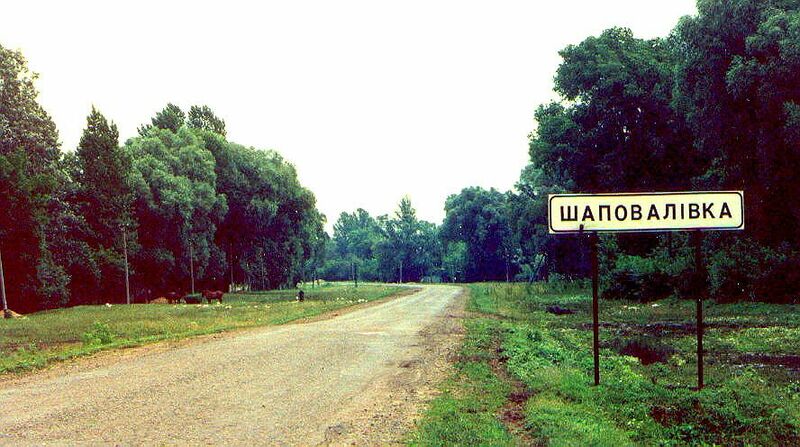 It was in the village of Shapovalivka (see below)- a weedy field the Soviets had commemorated with a small fenced monument.